THE TWILIGHT DRONE is the third instalment in Johannes Contag’s SLEEPYTIME series released on Monkey Records. While SCHLAFWANDLER and YOU ARE FEELING SLEEPY were music albums, containing hypnotically slow, minimal and at times meditative pieces of instrumental music, THE TWILIGHT DRONE is a musical film. As Contag’s previous SLEEPYTIME releases were an homage to the origins of ambient music, the current work explores the notion of the ambient film. Over a period of 49 minutes, the bird’s eye camera follows three silhouetted figures in a snowy paddock, their actions structured by an unknown choreography – attempting, deviating, instating, rejecting, adapting. True to the static nature of ambient film, there is no overall plot or narrative, and there is no perceivable character development; instead, the figures’ movements are repeated, reversed, mirrored, doubled, inverted, sped up, slowed down, coloured, extracted. The accompanying soundtrack (available on Bandcamp) is based on a constantly undulating filter drone that is at times embellished with rhythms and textures but essentially stays true to its cyclical nature for the duration of the film. To the viewer, this presents an interesting challenge. The slow pace of change and lack of dramatic development may initially frustrate the analytical mind – once the repetitive structure takes hold, however, a wealth of detail is revealed. The figure’s actions, devoid of any comprehensible drama, take on a dream-like logic that is an end in itself. The static soundtrack turns out to be a microcosmos of textural and structural variation. By the end of the film, the viewer should be either asleep or fully immersed in a semi-hypnotic alpha state. 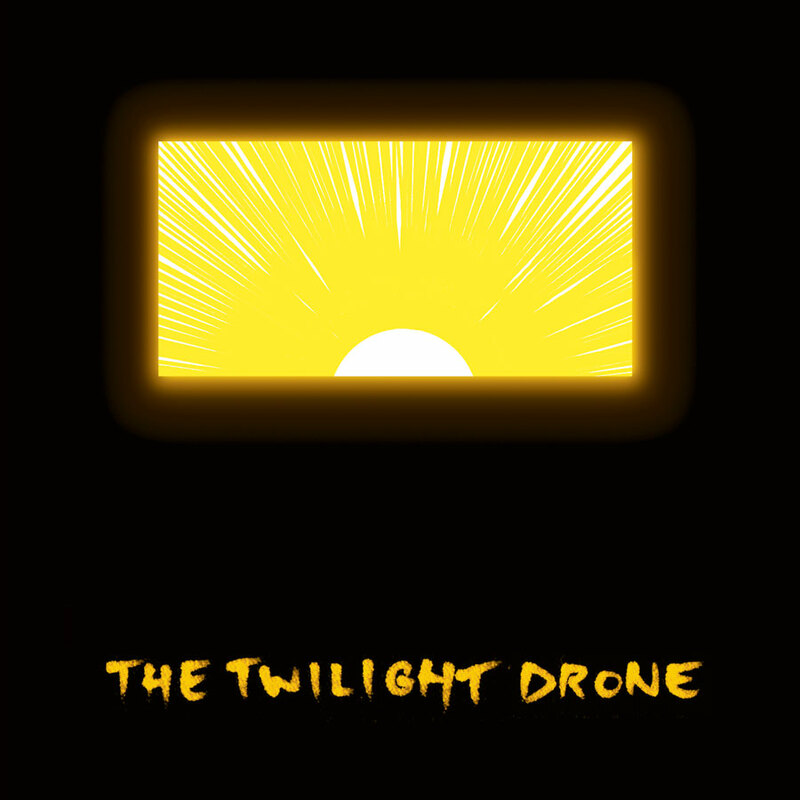 In the context of Contag’s SLEEPYTIME series, THE TWILIGHT DRONE is a consequent step towards the sedative and meditative minimalism he has been exploring already – where less really is more. While the pieces on the previous albums varied between five and twenty-five minutes in length, this is an uninterrupted album-length drone piece that works not only as soundtrack but also as an ambient work in its own right. It is this which really sustains the film’s non-developmental structure, creating a broad arc of dynamics that holds the viewer until the end.